The BBC has launched a new online service providing the public with unparalleled access to the democratic institutions across the UK. 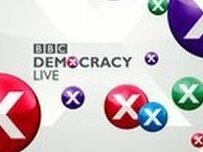 Democracy Live offers live and on-demand video coverage of the UK's national political institutions and the European Parliament, backed by innovative search technology to allow people to follow political debates and developments around the areas and issues that matter to them most. The website provides unedited access and allows people to find out about their elected representatives and the decision-making process. Democracy Live will cover all proceedings in the main chambers of the House of Commons, House of Lords, Scottish Parliament, Northern Ireland Assembly, Welsh Assembly and full sittings of the European Parliament.